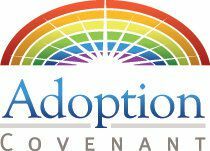 At Adoption Covenant, the legal services are provided by the agency depending on the wishes of the adoptive parents. Our Executive Director, Merinda Condra, is a licensed attorney in the state of Texas and is very experienced in adoption. She will handle the termination of parental rights of the birth mother and any alleged, presumed, or unknown birth father. The time frame for this termination after placement could vary anywhere from 45 days after the birth of the child to several months, depending on the circumstances.